You guys!!! 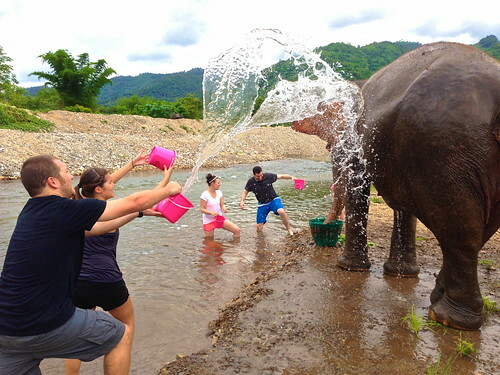 We played with elephants!!! 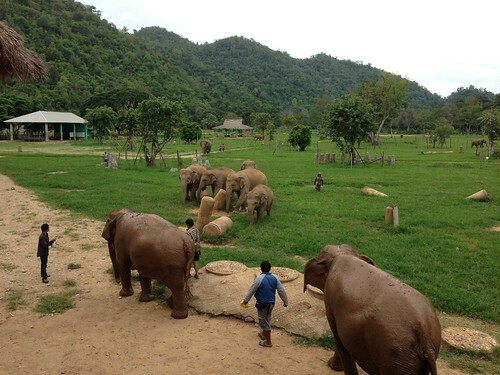 About an hour away from Chiang Mai Thailand we found the Elephant Nature Park, an elephant rescue and rehab center. 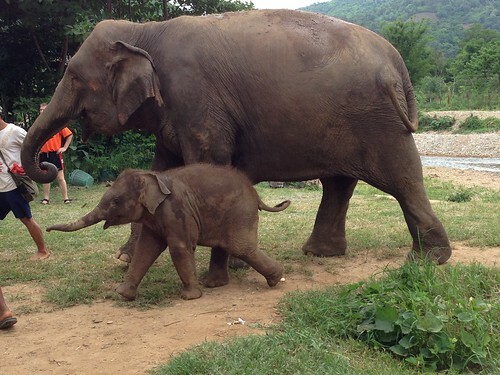 And when I say “center” I mean Disneyland for Elephants. 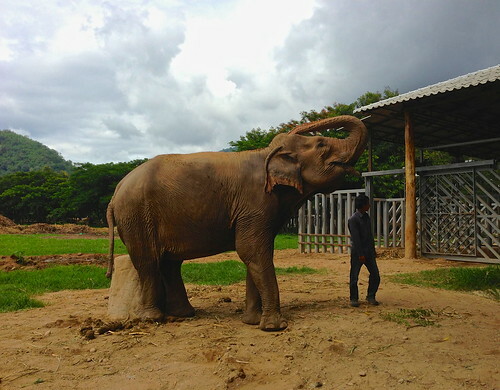 The elephant theme park center was established in the 90’s by it’s owner Lek who is basically a Saint sent down from the heavens with the goal to save as many elephants as she can from being mistreated, abandoned, and held as slaves in the logging business in Burma. 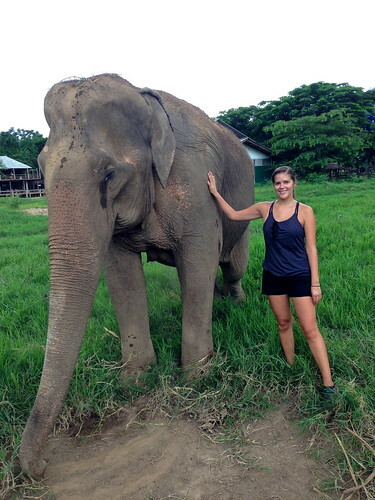 Her love for these animals, and the amazing crew of workers and volunteers, is unprecedented. I’ve never seen someone love an animal so much. 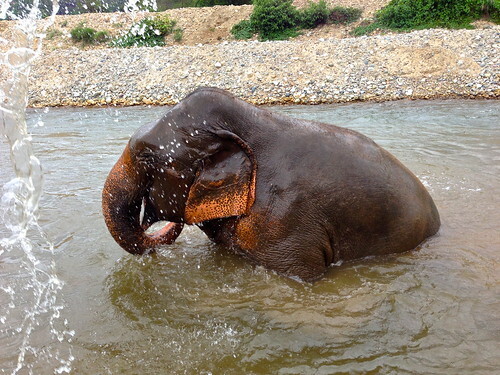 The stories behind each of these animals is heartbreaking. 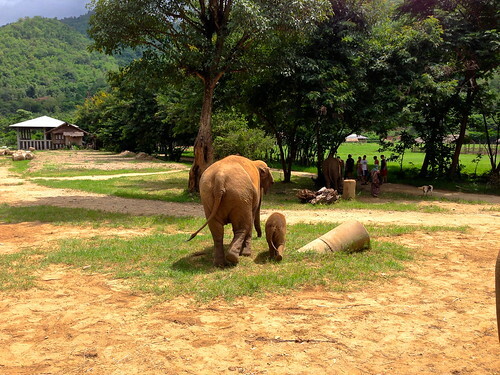 The reason most of them have come to this center is because of something tragic. 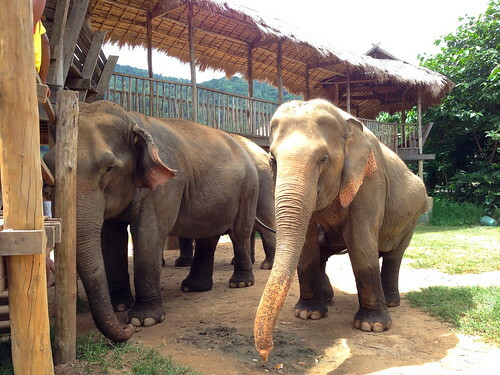 Whether it be Dani who was rescued from illegal logging on the boarder of Thailand, or Jokia who is completely blind after being beaten on both eyes for not listening, or Malai Tong who stepped on a landmine while being forced to work. 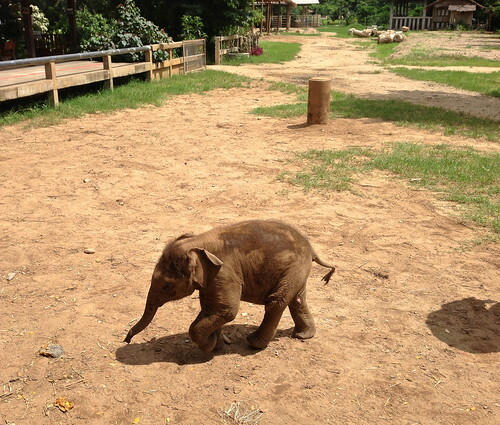 Luckily, some of these sweet elephants have good pasts, like Dok Mai who was born at the park April 2013. She will never face the horrible stories most of her herd have had to endure. At least that is the hope. 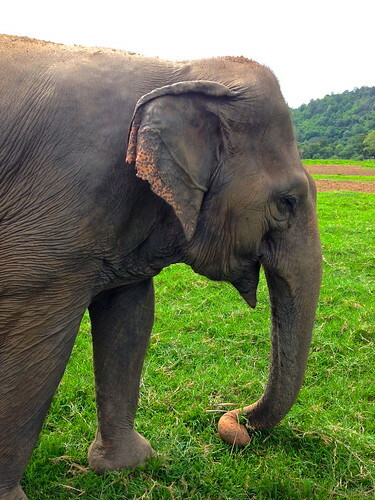 And this is why Lek invites volunteers to her park: free love and help from all the hundreds of volunteers that visit everyday, and to help raise money to keep this park open and the elephants filled to the brim with all the fruits and veggies they can eat. 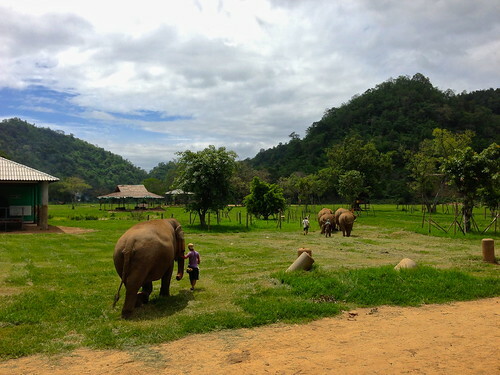 Our 2,500 baht (about $80 USD) contribution gave us full access to the park, an amazing vegetarian lunch (and I’m a meat lover! 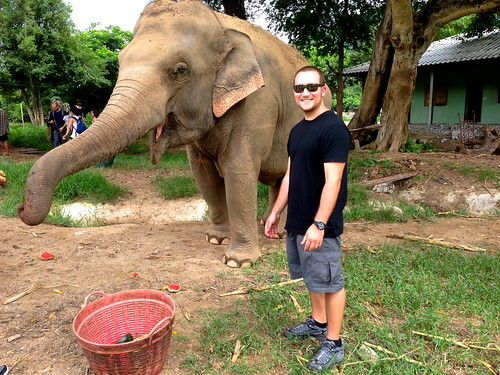 ), and all the elephant hugs we could squeeze in during our visit. 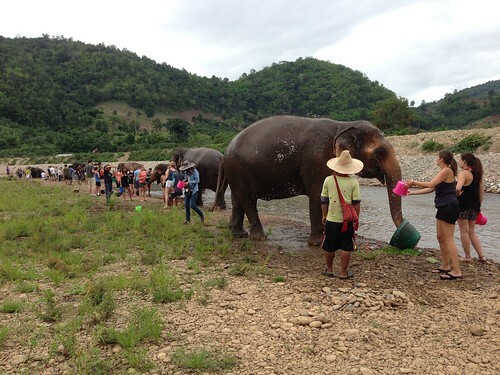 We met most of the 36 elephants, we learned their past and present stories, we fed them watermellon, squash, and bananas, we bathed them in the river, we pet them, and the best part: we just watched them be the happiest elephants I have ever seen. 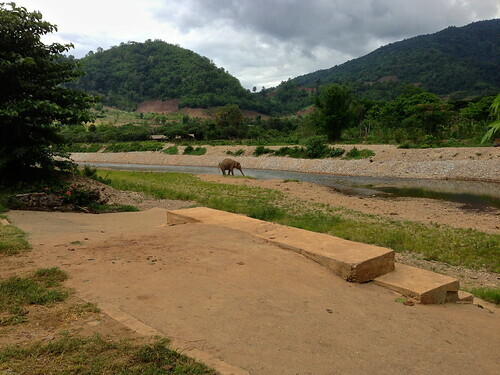 Blind elephants and those with broken hips or legs were smiling. 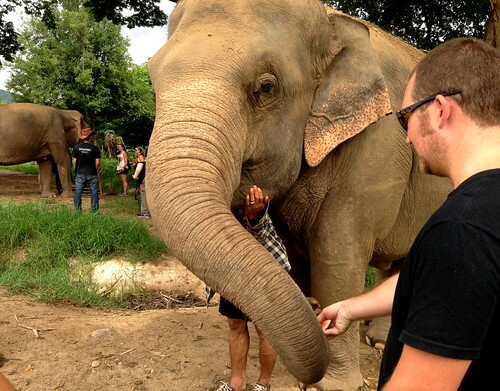 It was just amazing to be eye to eye with these gentle giants. Greg and I both agree that this was a major highlight of our trip. I’m pretty sure nothing can beat it. 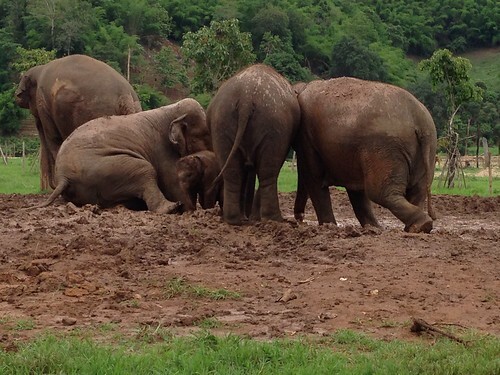 And our favorite part of the day: watching them roll around in the mud after we washed them in the river. Wonderful story as always!! 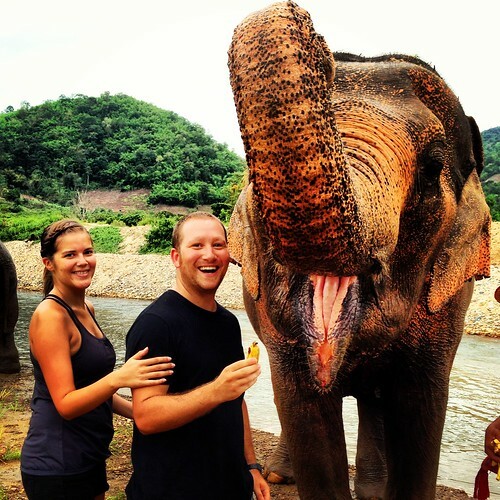 I just love elephants, thanks for sharing! !